As tennis players, I think we must know some of the common tennis rules so that we can adhere to them and play a fair game. By knowing the rules of the game, you can enjoy playing and watching the game as well. Even though tennis is known by different names in different countries, the tennis rules are the same everywhere. It is a sport played between two players if it is a single match or between two teams of two players each if it is a double match. One plays tennis in a rectangular court either made of grass, clay, concrete or even carpet if the tennis match is held indoors. The game begins by a toss of a coin. 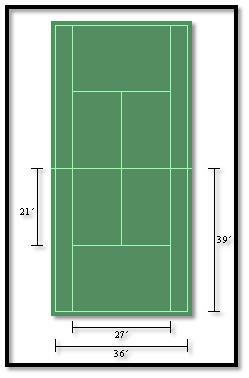 According to common tennis rules, the tennis court’s size is regulated. The court is always 78 feet (23.78m) in length. For a single match, it is kept 27 feet (8.23m) wide but for a double match where the team of tennis players need more space, the court is 36 feet (10.97m) wide. A net divides the tennis court in two equal parts. The game is played with a racquet and a ball. The length of the racquet for young tennis players is between 21 to 26 inches, while older and taller players can choose a racquet within 27 to 27.5 inches. As for the tennis ball, United States Tennis Association (USTA) stresses on a yellow fluorescent ball so that it is clearly visibly on television. The ball can weigh between 56.0 and 59.4 gm and its diameter should be between 65.41 and 68.58 mm. Whoever wins the toss gets to choose to start the game or let his or her opponent decide. The server will begin the game from their designated area from the court. The server should be extra careful as during the serve as the ball should be hit diagonally opposite the service box and cannot touch the net at any cost. If the server successfully executes the serve, then from then onwards the receiver (opponent) and the server should keeping hitting the ball back and forth to one another in the court. 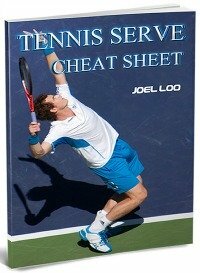 The tennis rules emphasize that only one bounce is allowed on either side of the court when the server or receiver hits the ball. During the start of the game, the server should be careful in serving to the correct box within 2 attempts because if they don’t, their opponent will score 15 points. Therefore, the server will have zero points which is known as ‘love’. If the opponent manages to earn the point again and again then the score will jump to 30 and finally 40. If the server doesn’t score then the opponent will win the game. Also, the tennis rules stresses on the comfort and safety of tennis players by listing what sort of clothes and shoes should be worn in the tennis match. 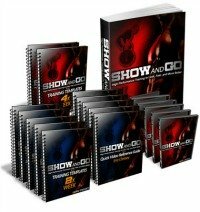 Since lots of footwork is involved in tennis, tennis players should ensure that they are wearing standardized and comfortable shoes. Be wary of different penalties that can be given for a number of different reasons. For example, touch opponent’s ground is not allowed. Therefore, if you don’t want to lose precious points then read up on different penalties in detail. Last but not least, don’t forget to have fun! 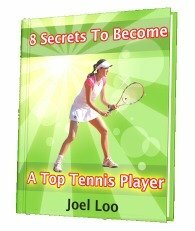 From "Common Tennis Rules You Must Know" To "How To Play Tennis Efficiently And Become A Better Player"